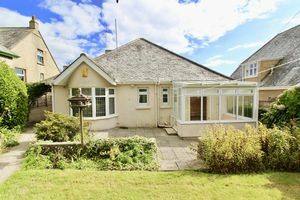 On the instructions of the executors - Located halfway down the quiet and popular Marlborough Avenue sits 'Val-Andre', a spacious 2 bedroom detached bungalow with two large reception rooms, front & rear gardens, detached garage and driveway parking. 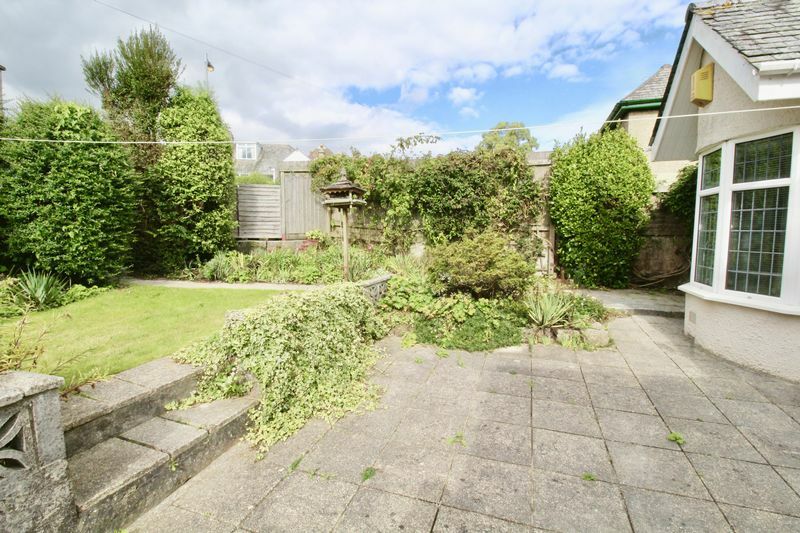 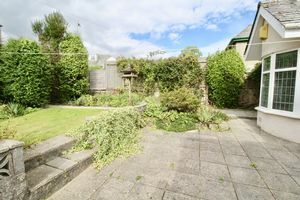 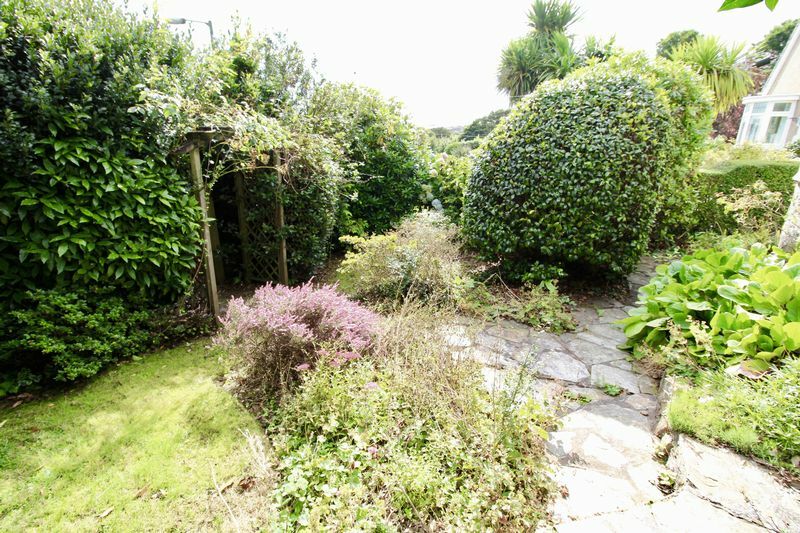 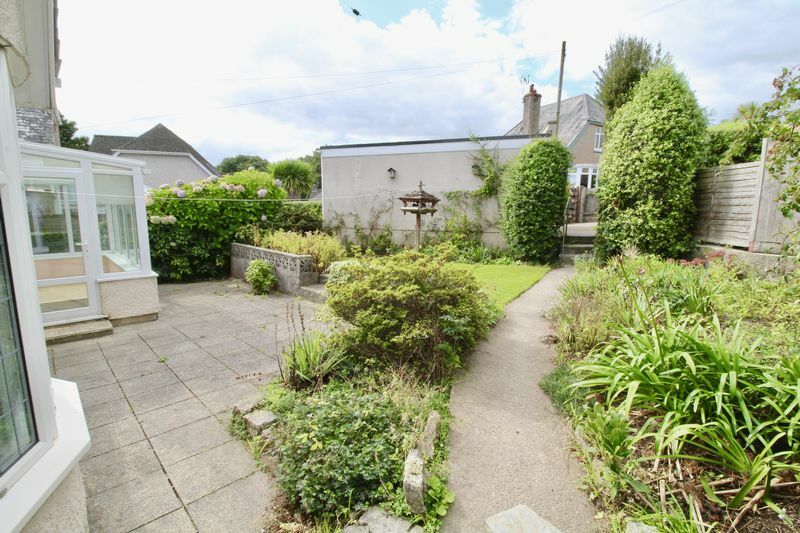 The property would benefit from a scheme of renovation but offers great scope for the potential purchaser to create a lovely home just 10 minutes walk to Falmouth's beaches and it's town centre. 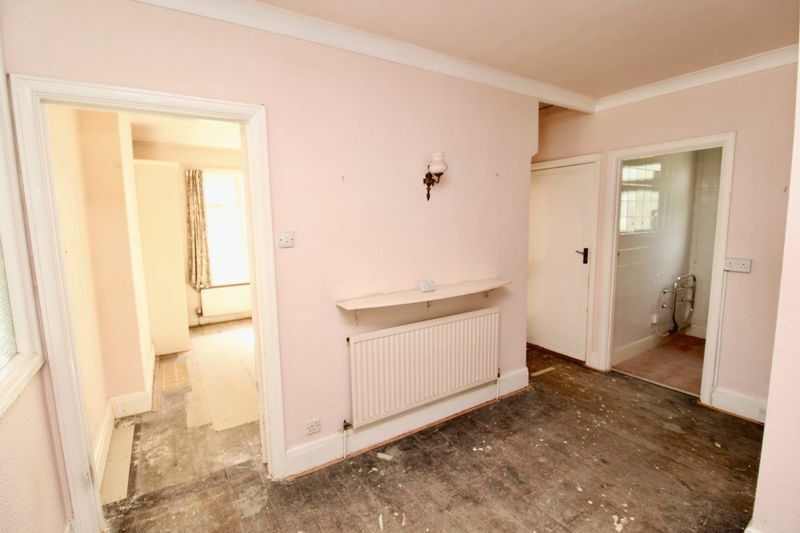 Available immediately with the benefit of no onward chain. 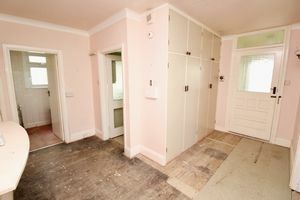 Doors leading through to main hallway and kitchen. 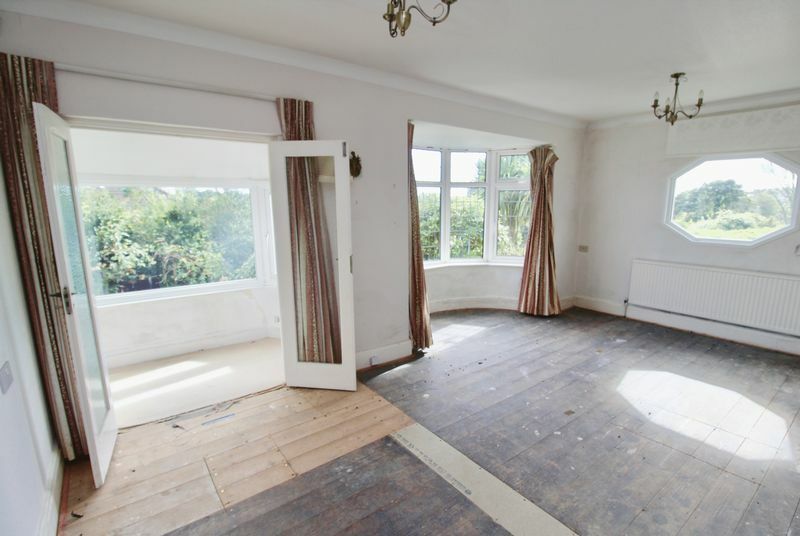 Galleried hallway with wooden floors with access to all reception rooms, bedrooms and kitchen with double width and full height storage cupboards. 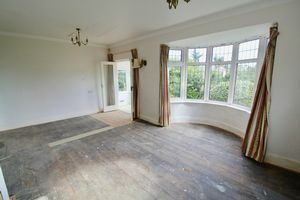 A large double aspect sitting room with curved bay window, recessed fireplace and wooden floors. 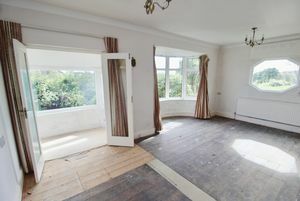 Double wooden door leading through to front aspect sun room with UPVC double glazed windows looking out to the front garden. 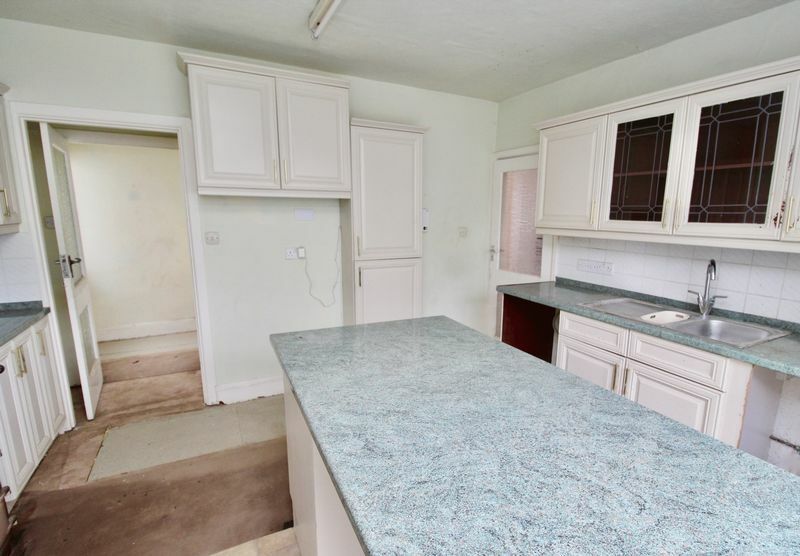 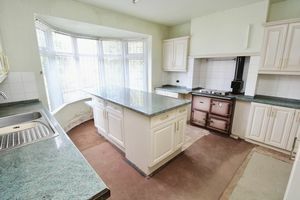 A spacious and light Kitchen with high and low level cream units, composite worktops and a central island unit with extra storage which would make an ideal breakfast bar. Inset Rayburn, stainless steel sink and drainer and space for washing machine. 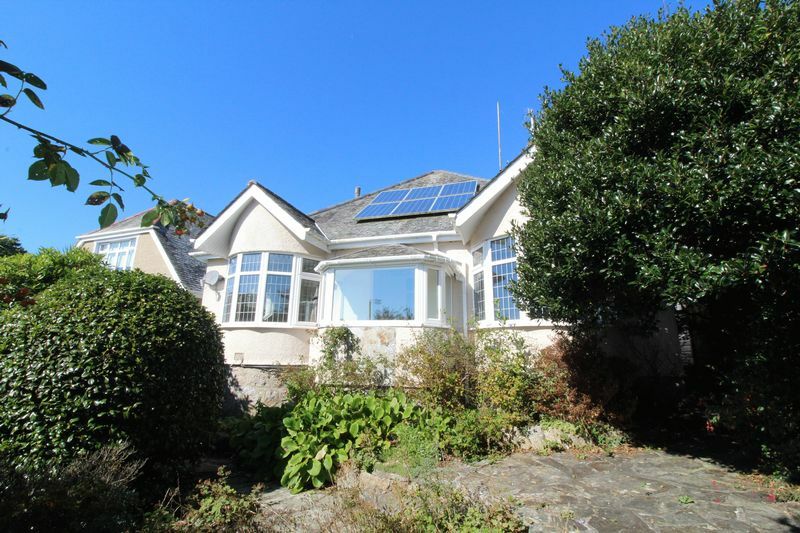 Rear aspect UPVC curved bay window and door leading through to larder area which houses Solar PV controls. Rear aspect UPVC conservatory overlooking garden with side door on to patio. 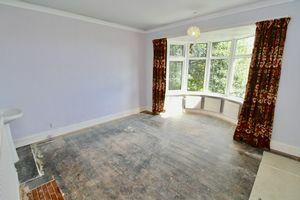 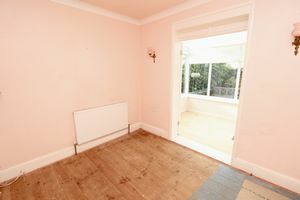 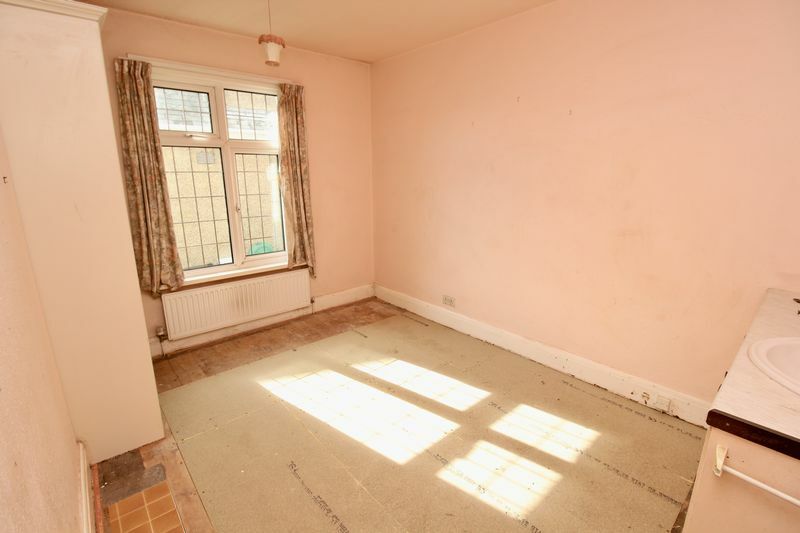 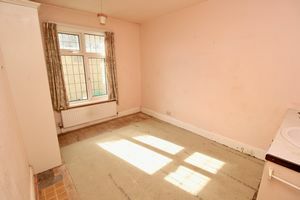 Double room with curved front aspect bay window, wooden flooring and wash basin. 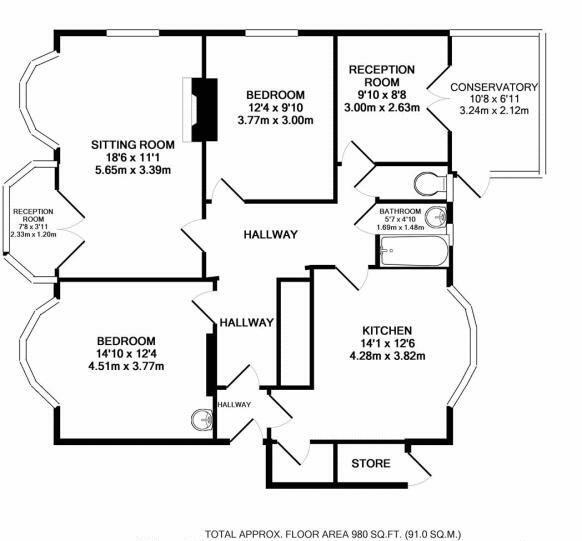 Double room with side aspect UPVC double glazed window and inset wash basin. 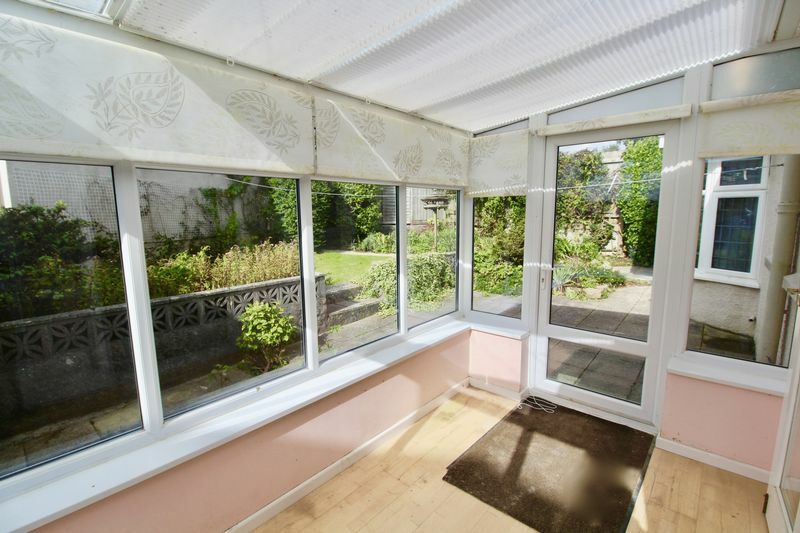 Rear aspect obscure glazed window, bath with mixer shower and heated electric towel rail. 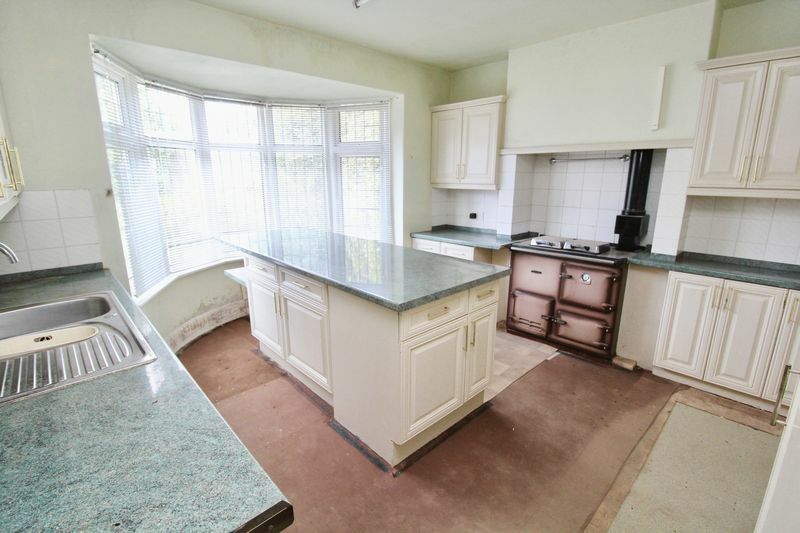 Separate W/C with wash basin and rear aspect obscure glazed window. With a path leading to the entrance door at the side off the property and another leading to the alternative side return the front garden is made up of lawned areas, hedging and shrub borders. 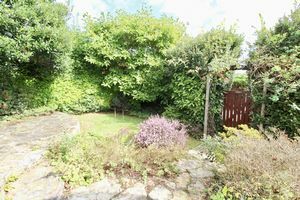 A delightful rear garden area with large patio perfect for outdoor furniture, raised lawned area and raised shrub beds. 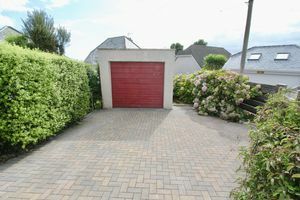 Pathway leading through to driveway and garage. Separate exterior access to store room on side return pathway. Single garage with up and over garage door and driveway for for two large cars giving vehicular access on to Marlborough Crescent. Mains electricity, water and drainage with gas fire central heating. Solar PV Panels on roof.